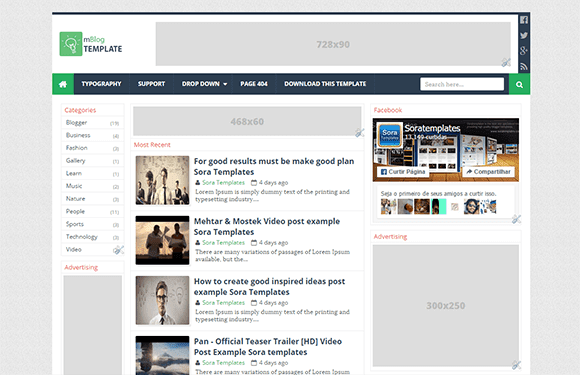 mBlog Blogger Template is a clean, responsive blogger template suitable for blogs, magazines, publishing or review sites. It uses the best clean SEO practices, and on top of that, it’s fast, simple, and easy to modify. A free blogger templates Filled with unique elements, an overall fresh look and absolutely zero clutter, we believe we’ve created something that’s memorable from the first visit.